It is said that Sindh is a blessed land, mixed with its dust are ashes of countless saints. 125,000 are buried in the Makli necropolis, many others rest in their shrines scattered all over the land and yet many more remain unknown and lost in the mists of time. What if we find one? In 1909, in an abandoned stupa near Mirpur Khas in lower Sindh, when Henry Cousens (1854-1933) found funerary ashes along with a bone it was questioned whether these remains were of Buddha or of a Buddhist saint. The stupa stood in the ruins of a Buddhist monastery sprawling over an area of 30 acres, in those early days it was dated back to 6th century CE. Before the excavations, the site was described as a ‘great heap of ruins’ located about half a mile to the north of Mirpur Khas, the nearby villagers called it Kahu jo Daro, the Mound of Kahu. The Gazetteer of the Province of Sindh (1907) mentions a minor irrigation canal Kahu Wah which flowed at a distance of 65 miles from Mirpur Khas. It is also said that there was a Kahu Bazaar around which in 1806 Mir Ali Murad Talpur founded the city of Mirpur Khas. But still in present day Sindh Kahu is a rare name, hence my search led me to a far corner of the globe, to Hawaii where Kahu literally is the keeper of the bones but in a deeper meaning he is the guardian of spiritual treasure. Existence of a bazaar suggests that Kahu jo Daro was not just a remote monastery but also a sizable town. Xuan Zang (Hiuen Tsang) the well-known Chinese monk, who visited Sindh about a century before the Arab Muslim conquest in 711 CE, writes about hundreds of Buddhist monasteries that thrived in Sindh. At the same time history tells us that to run such a network of holy places most of the finances came from the merchant and the artisan class which was mostly Buddhist. Located close to the ancient trade route Aprantapatha which stretched from the Bolan Pass in Balochistan to Kanya Kumari at the tip of South India, Kahu Bazaar must have been a busy place where monks and the merchants mingled with the townspeople. There is enough circumstantial evidence to suggest that it remained a peaceful town even after the Muslim conquest as monks continued to collect their pilgrimage tax while the merchants as zimmis (non-Muslims) paid the tax. Although like the site of Harappa Kahu was also robbed of bricks by the railway contractors, but during the course when a few ornamental bricks and two remarkable figures of Buddha were exposed, it drew the attention of the British officials. According to Sir James Campbell these represented ‘Sikhi, the Second Buddha.’ Guru Nanak’s struggle against Brahmanism, his reverence for Buddha’s teachings and his visit to Tibet may have led many to consider him the second Buddha. It is important to note that before the Partition (1947) a sizable Sikh population lived in Mirpur Khas. Cousens arrived in Mirpur Khas four decades before the Partition. His was a long journey which began as a photographer in the Indian service and ended as the superintendent of the Western Circle of the Archaeological Survey of India. With one clerk and an assistant photographer he had already traveled many parts of India before his posting in Sindh where he explored, surveyed, photographed and recorded the antiquities . Although Kahu jo Daro was first surveyed by J. Gibbs in 1859 but it was in 1909, just a year before his retirement, that Cousens dug it to the deepest level and retrieved a relic casket, the most sought after artifact of the archaeologists during that period. The relic contained just an ‘egg-spoonful’ of ash and a bone but to the devotees it was more precious than the votive tablets, Buddha’s images, vases and many other artifacts which were unearthed and transferred to the Prince of Wales Museum in Bombay. My last visit to Kahu Jo Daro was in mid 1960s until then images of Buddha stood firm in the niches of its exterior wall, sadly, by now everything has vanished. After an extensive research on the Buddhist monuments of Sindh, J.E. Van Lohuizen-de Leeuw, rightly remarked that ‘the worst fate befell the site of Kahu.’ Also, instead of blaming the Arab Muslims for the destruction of pre-Islamic monuments she identified salinity as the enemy of buildings in Sindh. This is so true, in my lifetime I have seen many beautiful structures, both old and new corroding due to salt encrustation and rapidly crumbling. In such a fragile world where abodes of saints do not survive their seekers often beguile their hearts with the thought that under every tree lives a saint. Throughout history saints have been living not only in Sindh but all over the globe, they may have belonged to different religions but they lived beyond these labels to serve humanity. Regardless of caste or creed they willingly showed the right path to those who were lost in the labyrinth of life. We may never know the saint whose ashes were buried in Kahu jo Daro but we hope to remain blessed. Jhirk (also spelled Jhirak, Jherruck, jerrruk, jarak ) located off the National Highway between Thatta and Hyderabad in lower Sindh is a quaint little town known for two big names: Agha Khan Hasan Ali Shah (1804-1881) who made Jhirk his first home in the subcontinent and Mohammad Ali Jinnah, the founder of Pakistan, who was born here in 1876. The very first Gazetteer of Sindh, informs us that Jhirk was located on a hill close to River Indus and was a good spot to command the navigation of the river in both military and commercial point of view. The Gazetteer further mentions that Alexander Burnes even recommended Jhirk as the ‘best location for a British settlement’ and ‘Sir Charles Napier is said to have regretted not having chosen it for the European Barracks, instead of Hyderabad.’ However, it was Napier who found Jhirk to be the most suitable place to accommodate Agha Khan under British protection. Agha Khan the first or Awal, as he is mostly known to his followers, also built the first Jamaat Khana in Jhirk, hence making it a sacred town for the Agha Khani Ismaili community of Sindh. Perhaps, the region has a compelling aura as in the ancient past on nearby hills Buddhists had built their sacred shrines. The big name, in fact the only name of those times, that has survived in the memory of nearby villagers is Raja Manjira, a Buddhist king who ruled the region from his hilltop fort crowned with a stupa. Little further, across from the river, on another hill stood two stupas. We are informed about the existence of these three stupas by Henry Cousens. By the time he visited the Kot Manjira hill its stupa was gone, all he could find was ‘a shapeless low heap of brick debris’ in which he could find only 6 carved bricks. Cousen’s however, refers to a letter dated 1853 written by W. Cole the Deputy Collector of Sindh which mentions a hilltop stupa standing at a distance of about 3 miles from Jhirk. The natives referred to the site as Kafir Kot (the Fort of the Infidels) owned by Raja Manjira. Cole found the remains of a wall built of large stones which fortified the site and the remains of a building made of heavy big bricks cemented by fine mud of Indus, this mud cement is found in very early brickwork, he adds. Apart from larger structures were parts of ornaments bearing semblance to those found in later Buddhist cave temples. And in fact, there were fragments of Buddha’s images of which the head was missing. A total of 113 specimens was later handed over to the National Museum of Karachi. As for the two stupas located across from the river, Cousens informs that these were reported by Mr. Carter. The natives referred to this site as Budh jo Takar, based on this name any body could guess that these were Buddhist remains. Carter compared the potsherds and bricks of these to the ones discovered from the stupa of Kahu jo Daro located near Mirpur Khas, Sindh. Buddhist sites are scattered in a much larger area of the Indus region as Sindh continued to remain a stronghold of Buddhism even after the Muslim conquest. Fatehnama also known as Chachnama, an Arabic account of the conquest of Sindh, mentions a huge stupa in the center of Debal, the first city conquered by the Arab Muslims in 711 CE. With the passage of time a significant number of lost stupas had come to surface, the reexamination of these sites can shed more light on the region’s past. Following is just a brief account of the relatively recent surveys of the Kot Manjira stupa site. In the 1970s A.Rauf Khan of Karachi University surveyed the lower Sindh region closer to Karachi and identified several pre-historic sites, some of these going back in time to the upper Paleolithic period. He also visited Kot Manjira and found some chert blades and potsherds which indicate that the site was pre-historic and before the Buddhist occupation it belonged to the Amri Culture which precedes the Harappan or the Indus culture (2600-1900 BCE). Khan also confirmed that the entire flat top of the hill was enclosed by a six feet thick wall and within these were massive buildings made of limestone hence, much older than the brick structure of the stupa which formed only a small part of the entire flat top area. Based on all these finds Khan attributed the site to both the Amri Culture and the Buddhist period 5th century BCE. Kot Manjra site is a good example where the historic, pre-historic and the pre-bronze periods can be scanned together. Between the Buddhist and the pre-bronze period is a long span of time but it is at Manjira that at least a small space of a huge blank is filled by the Amri culture. Kot Manjira stupa like the Moen jo Daro stupa stands on the foundations of a distant culture; Amri culture even goes beyond the urban phase of the Indus Civilization hence Kot Manjira stands on a culture much older than the city of Moen jo Daro. The time span between Kot Manjira’s Buddhist period and the Amri culture is much longer than the one between Moen jo Daro stupa and the city discovered under its foundations, nonetheless, both show the different and detached periods of human occupation of the same site. It will still take more time and research to come up with evidence that can fill in more blanks to demonstrate the continuity of culture. I am most thankful to Dr. Paolo Biagi of Ca’ Foscari University of Venice for sharing his report of the 2009 Project . There is no doubt that the custodians of the Naya Pakistan have inherited a country inflicted with many ills. Corruption, crime, debt, nepotism, poverty, and illiteracy have sometimes become bywords to describe Pakistan. But beyond these ills lies another Pakistan–a Pakistan that stands upon a spectacular heritage that deserves more attention than it has received by previous governments. With its rich history and geographical location, Pakistan already owns a grand cultural legacy. Islam arrived in this region as early as the eighth century. This is three centuries before it spread in the other parts of the Indian subcontinent. Hence, this region was rich in the early Islamic attitude of following a pragmatic policy which resulted in blending Islam well with a heterogeneous South Asian culture. For a better understanding of that Islam you can read my essay here. 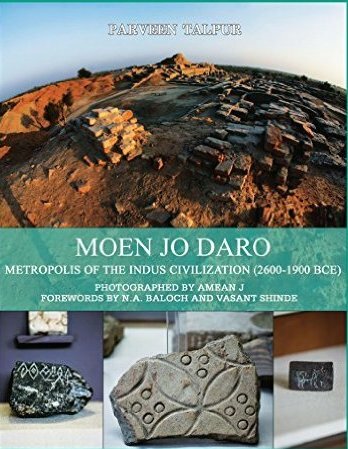 It was on the banks of Pakistan’s River Indus where one of the four ancient civilizations emerged and matured to an urban phase, represented by Moen jo Daro and Harappa. These cities, unlike their contemporaneous, Mesopotamian and Egyptian cities, lasted for 700 years (2600-1900 BCE) without war or violence. The Indus Civilization’s peaceful and nonviolent traits have survived in the later indigenous religions and philosophies of Buddhism, Jainism, Bhaktism, Sufism and Gandhism. Present day Pakistan’s socio-cultural temperament is shaped by the unique Sufi culture that evolved in the Indus region. Also, unlike its west Asian Islamic neighbors, Pakistan had the advantage of drawing the best from its British legacy in the fields of education, law, sports and irrigation. These diverse influences have given Pakistan a heterogeneous, tolerant and resilient identity. This identity cannot be ignored and must be kept alive by gaining inspiration from the past. The most accommodating cultural policy so far was authored by Faiz Ahmad Faiz in 1972. It is encouraging to note that he addressed Pakistan as a pluralist society. Pearl Buck said: “If you want to understand today, you have to search yesterday.” But where a past is wrongly reconstructed and even at times erased from the books what could be done? One of the scholars refers to it as the ‘Murder of history’ , while others have blamed the history text books of telling blatant lies, The debate continues. But while an intellectually honest team of researchers and scholars sits down around the table to correct the previous record it is the responsibility of the scholars, historians, writers, public figures and administrators to promote an awareness and a love of history. History can come from many sources, including a country’s land. Its mountains, rivers, valleys, waterfalls, vegetation and even its deserts reveal clues about its past. It needs to be highlighted for a whole new generation of aspiring writers and historians through books, lectures, tours, television and cinema–the most powerful medium of them all. Not far from K2 is the Siwalik range, a human habitat since millions of years, where the remains of the hominoids Ramapithecus and Shivapithecus were discovered to help understand the human evolution. Even the deserts of Pakistan, scarce in water, are rich in history. Gedrosia, the one in Makran had been a challenge for great warriors like Cyrus and Alexander. Thar in lower Sindh, where lived Marvi, a great folk heroine who defied a King. The fringes of these arid zones touching the seacoast were dotted with legendary emporiums. One of these was Bhanbhore where Sassui and Punhoon played their fates. Bhanbhore is also labeled ‘Gateway of Islam’ as it is identified with Debal, the first city of the subcontinent that Arab Muslims conquered. In between the mountains and the deserts is the fertile plain of Punjab with the 5 tributaries of Indus, on the banks of one these thrived Harappa, another larger city of the Indus Civilization. The lifeline of the ancient and present-day Pakistan, however, is River Indus which runs through the north south length of the country, and yet, it is more than a water resource. Indus is the nurturer of a great civilization; a trade route since ancient times ; a boundary line of the easternmost satrapy of Persia’s Achaemenid empire; the retreat point of Alexander the Great. It is also the revered river mentioned in ancient Rig Veda and Pakistan’s Sufi poetry and its land had been a stronghold of Jainism and Buddhism, the most nonviolent religions. Decades ago, Imran Khan, the current leader of Naya Pakistan, was lured by the beauty and might of Indus. 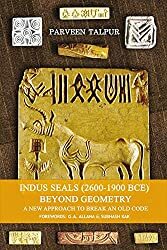 Much before I came to know Imran Khan as a politician, I had known him through this book that he wrote on Indus. It is hoped that Khan is able to inspire others to write, advocate and promote the correct history of Pakistan. Mango trees have existed in the Indian subcontintent since at least 1500 BCE as confirmed by the Vedic literature. Their health benefits were known to the ancient practitioners of Ayurvedic medicine who used not only their fruit but also the leaves and the bark in their prescriptions. Mango is considered to be a complete food by a large percentage of rural population who, instead of curries, prefer to eat mangoes with rice or roti throughout the season. When Emperor Asoka Maurya (268-232 BCE) ordered the planting of banyan trees along the highways he also ordered planting of many mango gardens to provide shade and fruit to the weary men and animals living in his vast empire. Asoka has gone down in history as the good king who had converted to Buddhism; it is said that his last meal before dying was half a mango. Mango remains to be a sacred fruit for many as Lord Buddha himself is known to have meditated in the mango gardens. Today, the mango is cultivated throughout South and Southeast Asia and is undoubtedly the ‘King of Fruits.’ It has many a variety with fancy names. The best rated or most beloved mango, however, bears a foreign name, Alphonso, after Afonso de Albuquerque. Albuquerque was not a king but a valiant Portuguese admiral who was appointed the governor of Goa in 1511 CE. Alphonso’s origins are traced to Brazil, Portugal’s far-flung westernmost colony in South America, where by way of grafting this delicious variety was developed and later introduced in parts of India. Eleven years after the death of Albuquerque when Zaheer-ud-Din Mohammad Babar captured the throne of Delhi, he was not impressed by the mango. Perhaps, he did not taste the Alphonso. Babar found it close to a peach, although in reality the mango is related to the cashew. Babar’s descendants, however, fell in love with this fruit. His grandson, Akbar the Great Moghul, who was born in the desert of Sindh, is known to have planted one hundred thousand mango trees. Mango was the most loved fruit during the Mughal era, its sweetness is best described by the great Indian poet Mirza Asadullah Khan Ghalib, the court poet of the last Mughal Emperor, Bahadur Shah Zafar. Through the centuries many new varieties of mangoes were born and many became extinct. I have tasted some of the best grown on our mango garden in lower Sindh, and as a child I have also witnessed some older varieties dying in an abandoned mango garden. Its trees were old but still well-anchored for the kids to climb. They were leafy enough to provide a cool shade but they grew very few mangoes which were always rotten. According to the village folk, these trees were planted during my great grandfather’s days. My father had attempted to save some of these ancient varieties but he failed. And then in 1960s a new breed of mangoes called Sindhri arrived in the markets of Mirpur Khas near our village. They were ‘as large as melons,’ the locals exaggerated. Sindhri was developed by a neighbor landlord Abdul Samad Kachelo who convinced my father to grow this breed and hence we had a brand new mango garden. It had shorter trees which matured faster. Within five years’ they grew fruit in abundance and they made the landlords richer. Rafiq Kachelo, the enterprising son of Abdul Samad, began exporting mango to the Middle Eastern countries and became known as the Mango King. Alphonso is being imported in the United States for about 10 years now. Many buyers hope the same for Sindhri. As of now even Alphonso is allowed in a limited quantity which reaches a very few buyers. But for those who remain deprived there is some relief from Chobani who has succeeded in blending it with the Greek yogurt. So look for Chobani’s ‘A Hint of Alphonso Mango’ at the grocery stores. New York Times obituary of Shammi takes me back to her life that I saw on the silver screen. Her career began in 1949 when Sheikh Mukhtar offered her a role in Ustad Pedro. Shammi worked in 200 movies, out of these I remember watching only two – Malhar and Sangdil, for me these two are enough to judge her superb acting. Shammi is known to play supporting roles but she also played a memorable lead role in Malhar. Later on she came to be dubbed funny girl but it was in Malhar she proved she can play a happy innocent girl as well as an anguished woman. Malhar will always be remembered for its songs by Indiwar and Kaif-Irfani and by its music composed by Roshan, Hrithik Roshan’s grandfather, but I will also remember it for the pathos created by Shammi’s acting. Later I discovered it was also the first movie produced by the famous playback singer Mukesh . I saw Sangdil during my teenage days with the school friends at Plaza cinema Karachi. There were various reasons to watch the movie. First, it was an adaptation of Charlotte Bronte’s Jane Eyre; second, because of the most popular leading pair Dilip Kumar and Madhubala and third because of its songs by Rajendra Krishan and music by Sajjad. Shammi was the least of the reasons, in fact we did not even know that Shammi and another great actress Kuldip Kaur were also in the cast. We were so surprised that Talat Mahmood’s popular song ‘Yeh hawa yeh raat yeh chandini’ was actually picturized on Shammi and not Madhubala. I still remember Shammi’s style of playing sitar while Dilip rendered the ghazal. Born in a Parsi family Shammi’s real name was Nargis Rabadi she was 89. Her death coincides with the International Women’s Day and that is a good reason for me to write on a lesser known woman who in her side roles kept a large audience entertained for decades. I congratulate the New York Times for making ‘Overlooked’ a regular feature. During my research at the Cornell University I would often gaze for hours at the images of unicorn engraved on hundreds of ancient seals discovered from the archaeological sites of Indus Civilization (2600-1900 BCE). I have written a lot on this fascinating animal whose story is immersed in myths and magic. It has fascinated the poets and many have written poems on it, one of my favorites is by Rainer Maria Rilke. had approached, soundlessly, pleading with his eyes. he moved, his coat shone like reflected moonlight. by his alert, yet gentle, timid gait. he sought to quench his thirst, to rest and find repose. and closed the circle of this ancient mystic legend.